"My experience with Maui Me was phenomenal. From the very first phone call to the follow up emails after the wedding, they didn't miss a beat! Co was quick to respond to all my questions, and handled everything for us. Andrea came to my room for hair and makeup, and I honestly couldn't have been more pleased. The photographer Joe was easy going, while obviously professional. Our officiant, Kimo gave us a great ceremony with some island flavor! Most importantly we had so much fun. It felt almost like we were all just friends, totally stress free. I loved every minute of our day and wouldn't have changed a thing!!" Tracy. Sabrina and Jesus enjoyed a beautiful late afternoon Maui wedding ceremony at Poolenalena beach in Makena with Marry Me Maui Wedding Plannes. 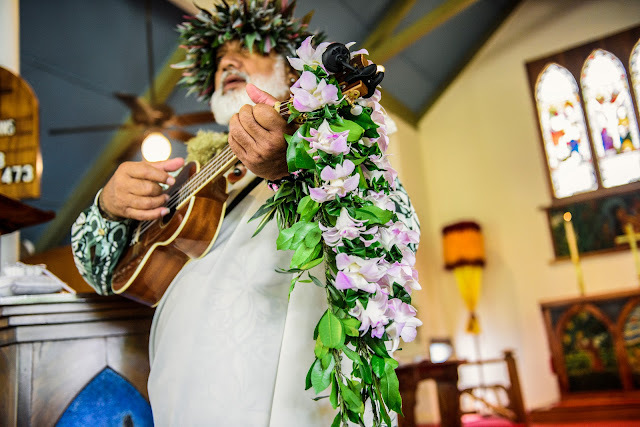 Our good friend Charles Nahale officiated the event and played some chicken skin music on his ukulele. Poolenalena (Chang's beach) is a huge swath of sand and ocean in spectacular Makena, the "south side" of Maui. 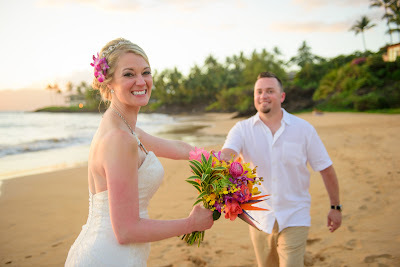 Some of the best wedding beaches in Maui are located here and we know them all! 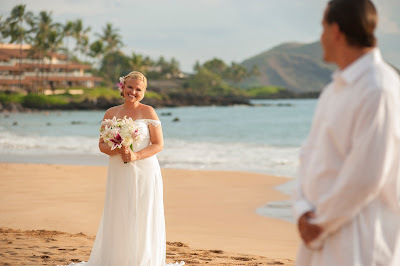 From White Rock, and Paipu, to Makena Cove, Marry Me Maui has performed hundreds of weddings at all of them. Some of these beaches are small and intimate, best for just the couple and maybe 3 guests and some are very large and wide with plenty of room for up to 30 people. As always, parking on Maui's pristine beaches is limited so please carpool! Sabrina and Jesus had almost the entire beach to themselves on this cool and breezy Wednesday afternoon. We want to thank them for a beautiful afternoon doing what we love to do! It's been a few years. It's cold and gray outside and time to heat things up with your significant other. So you're thinking: another lobster dinner at the local 2 star restaurant? Kick up your heels at that live music venue you haven't been to since your college days? Maybe a couples massage at that new spa you heard about on a commercial break during the last football game you watched? Nah, we have a better idea: Spice it up with a vow renewal on a Maui beach! 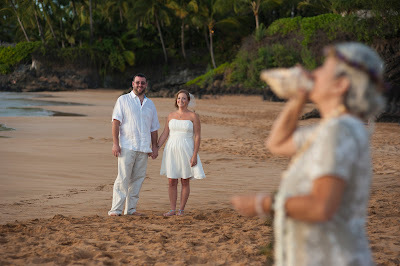 And we have 3 reasons why you should hire a professional Maui Wedding Planner to arrange all the details for you. The 3 best reasons to choose Maui for your destination wedding. After landing in Maui in 1983, I began a career as a photographer. This morphed into wedding planner as I worked more an more with brides from around the world. I am truly fortnate to be able to do what I do on this beautiful island.